Christmas Tour – Last Trip of the Year! After a great cruise and a quick week at home– Alex and the boys are heading out for a quick last run of the year. First up is Wednesday, November 30 at the Bierhaus in Patchogue, Long Island. A great venue, that has hosted the band for summer events and is having us in for the only Long Island gig until May. There’s no cover charge–but reservations are suggested. 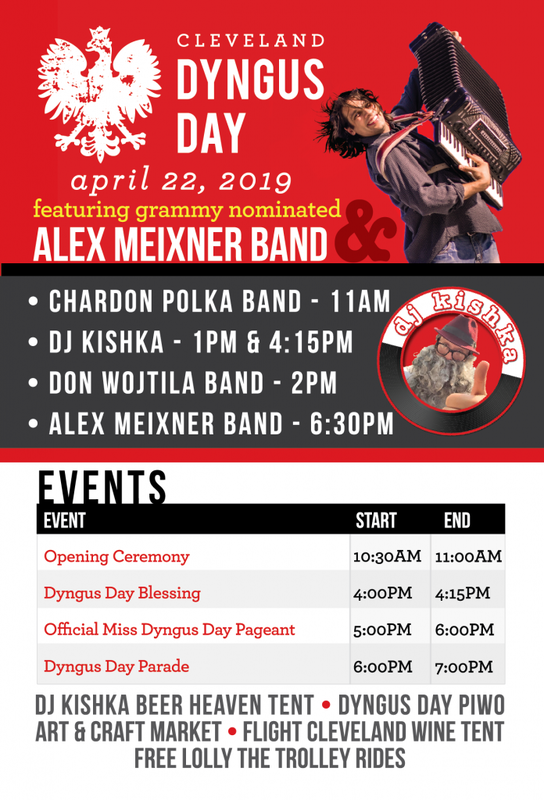 The band plays from 7-10– but come early and stay late!! From there, the polka van heads to New Jersey for Asbury Park’s Festhalle and Biergarten. Chef James never ceases to amaze us with his awesome food down there and we all look forward to a fun evening on Thursday— again– 7-10, with no cover! 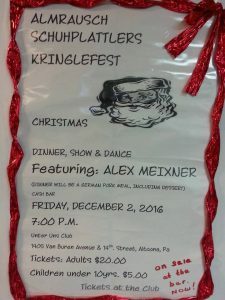 Friday, December 2 is the annual “Kringlefest” at the Unter Uns Club in Altoona, PA. The down home hospitality of our dear friends in Altoona is always superb. There are possibly a few tickets available left (as of Monday morning)– so call first. 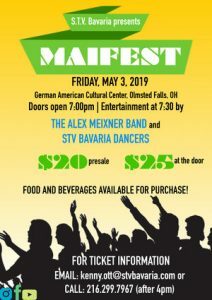 Saturday, December 3– is definitely SOLD OUT at the Cleveland Maennerchor. Sorry to those who didn’t get tickets– we’ll look forward to seeing the Cleveland peeps that have their advance tickets! Finally, Sunday, December 4 is at the Evergreen Club in Fleetwood, PA. There are a handful of tickets left for the intimate afternoon/ early evening dinner/ concert/ dance at one of my favorite venues. If we don’t see ya at one of these venues– hope everyone has a great holiday season– and remember the new live DVD/ CD “You Asked for It” is available in the online store along with all of the awesome t-shirts, hat pins, koozies, stickers, CDs and anything else you can imagine for Christmas presents. 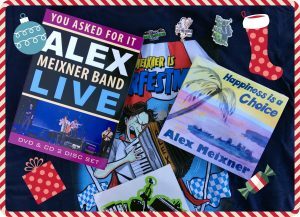 Order early, order often– and enjoy the sights, sounds and fashion of the Alex Meixner Band year round.